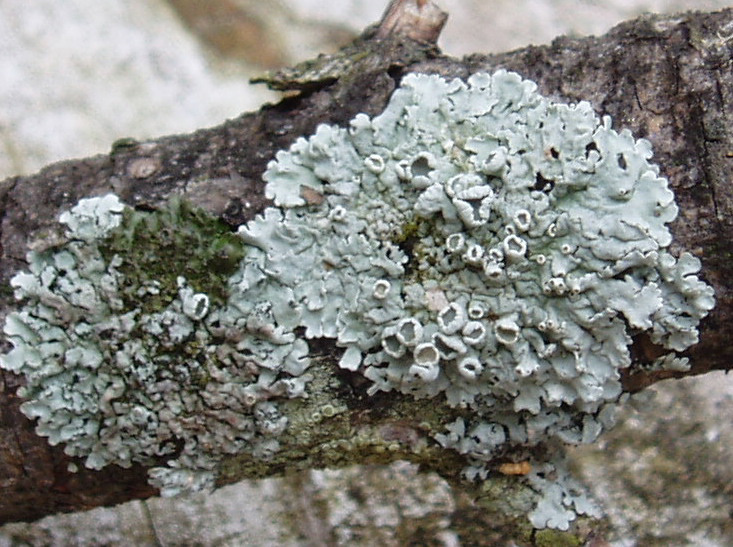 DIAGNOSTIC FEATURES: Rather randomly arranged thallus; apothecia predominant; gray-white color, cortex K+ quickly yellow (thamnolic acid); compare with Tuckermannopsis spp., which have apothecia and pycnidia only marginal, no thamnolic acid. ECOLOGY: General distribution is the northeastern US; found in several southern Ohio counties exclusively on the bark and twigs of Virginia pine. Probably more widespread in southern Ohio.